Get an ultimate killer off-duty look in this jumper dress. 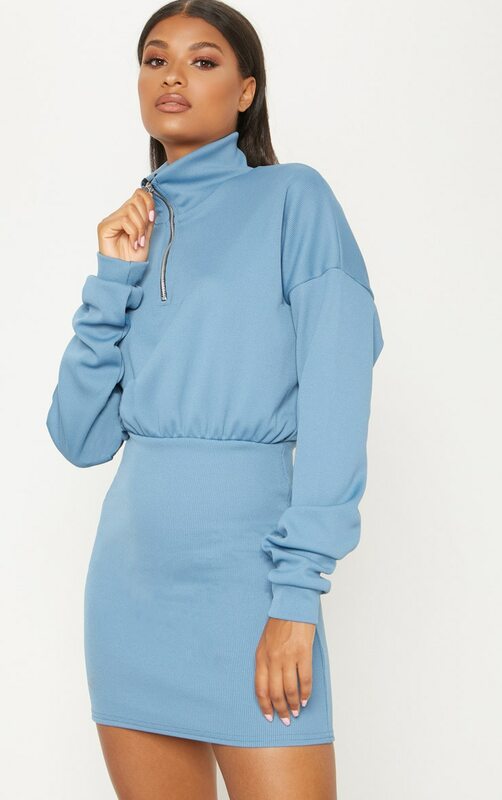 Featuring a blue ribbed material with a zip detail and a figure-hugging fit. Style this dress with fresh kicks for a look we are loving.